Netflix is a tough cookie to crack. They’re on the lookout for VPN services and quickly find their IPs to blacklist them. But we’re a tougher cookie to crack – we know the VPNs that work with unblocking Netflix (and more importantly, the ones who always stay ahead of Netflix to switch to new IPs on a regular basis). We’ve tested all our VPNs in-house to bypass Netflix. Take a look at the list below. It’s no doubt that Netflix is the most popular paid streaming service in the world. Netflix has opened its streaming services to 190 countries as of today, providing high-quality shows and movies that are produced in-house. This enabled Netflix to attract over 130 million paying customers. But not everyone has the option to watch all the shows. The first possibility is that you won’t have any access to the streaming service. The second possibility is that you would have access, but only to limited content. Those with a VPN can fully unlock Netflix. Why Get a VPN for Netflix? Shows are geo-locked due to licensing issues – everyone knows this. The concept of a VPN is simple; when you’re connected to a VPN, you’re essentially connected to a different computer elsewhere in the world. With that in place, you are actually using the IP address in that region. Such connections effectively “spoof”, or trick Netflix into thinking that you are in that country, thereby granting you access to geo-restricted shows. Unfortunately, Netflix has been very notorious in banning IP addresses from VPN services. This, in turn, makes your annual VPN subscription pointless. You’ve just wasted money on a product that doesn’t work. The best VPNs unblock Netflix while providing all the security benefits. But this study is just about just Netflix, so let’s get down to our list of working VPN solutions for Netflix. Despite the heavy ban, some premium VPN providers are still able to bypass Netflix restrictions. These two points make it nearly impossible for Netflix to trace every single IP address that they use. Some VPN providers even have dedicated streaming servers which they constantly refresh with new IP address to overcome restrictions. Our global team at GoBestVPN tested and compiled the VPNs that work with Netflix for your viewing pleasure. 100% guaranteed Netflix access is one of them. ExpressVPN is also one of those rare providers that would boldly claim that they can indeed bypass geo-restrictions. Since ExpressVPN is also one of the fastest VPNs we have tested, streaming speeds are difficult to beat. In case a server doesn’t work, you can report this to their customer service reps and they will fix it up in no time. 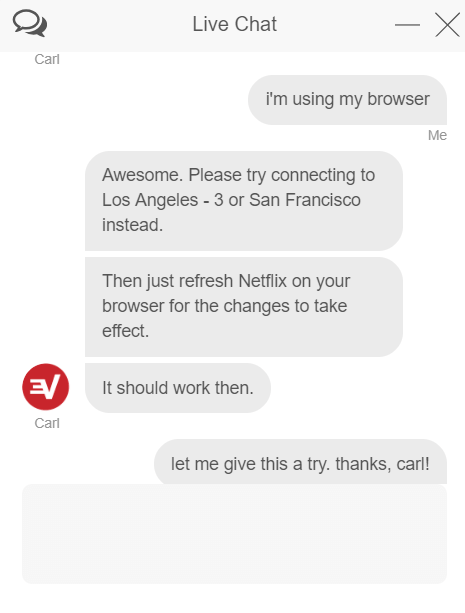 Not only do they have a constantly updated list of working VPNs for Netflix, but you can even contact their live chat support for help. They’ve assigned us a working server in under a minute. By far, ExpressVPN is the most reliable way to have Netflix access. or read our ExpressVPN review. NordVPN is the biggest contender for ExpressVPN in the top spot. In fact, we have considered NordVPN to be the best “no-brainer” VPN for 2018-2019. In terms of server count, NordVPN easily has one of the most servers available with over 5,000 servers around the world. This has allowed NordVPN to have numerous servers that can bypass Netflix restrictions easily. More than that, they’re also able to do it with incredible speeds. or read our NordVPN review. This VPN from the renowned cybersecurity firm, Avast, is a relatively new product. Even with just a little over 50 servers, Avast’s dedicated streaming servers are able to overcome geo-restrictions. More than that, if you’re the type of user who just streams on their phone, an annual plan for a mobile device just costs $19.99 a year or just $1.67 per month. That’s easily one of the cheapest VPN to bypass Netflix. or read our Avast Secureline VPN review. CyberGhost is one of the easiest to use VPNs in this list. Not only is it home to almost 3,000 servers, but a lot of their servers are also successful in unblocking Netflix. From the menus, you can specifically select that you want access to Netflix, and a working server will be assigned to you right away. Simple! or read our CyberGhost VPN review. If you can commit to a 5-year plan, Ivacy is able to unblock Netflix restrictions for just a little over a dollar per month on average. Considering that you can have up to 5 simultaneous connections and even router support, this is the cheapest Netflix unblocker you can get. Just hope that Ivacy can still unblock Netflix for the next 5 years. Although this VPN service has less than a hundred servers, they still have a few that works with Netflix. It’s not the fastest VPN service, but it still is more than able to stream at high quality. What’s noteworthy about PrivateVPN is the incredibly cheap subscription at just a little over $3 per month! If you’re on a really tight budget and want to take a gamble, here’s your chance. Just like Avast SecureLine, Buffered VPN is one of those services with very few servers (under 50). Yet, Buffered VPN can still bypass Netflix geo restrictions, which can be quite surprising. It’s pricier than some of the VPNs on this list but they have a 30-day trial that you can use. StrongVPN states on their website that they have over 12,000 positive reviews from their users. We were willing to give them the same positive review since this VPN can bypass Netflix’s geo-restrictions. Not all servers work with Netflix, though. And this is probably something that their customer support can’t help you with. Goose VPN boldly advertises that you can binge watch from anywhere in the world. We all know that pertains to Netflix. More than that, Goose VPN also has native support for Android TV, which makes your Netflix binge more seamless than ever. This VPN provider is proud to claim that they can bypass censorships, and that’s for good reason. AstrillVPN was able to access region locked content on their servers and that includes Netflix. Why Does Netflix Block Content? Netflix is a multi-million dollar business; apart from its operating costs, a huge chunk of their budget goes to licensing fees for shows. Unfortunately, streaming rights to shows are not cheap and they have to appropriate their finances wisely. Considering the amount of money Netflix has to spend on streaming rights, they have to consider the number of people watching a specific show. If a movie or a series would rate poorly in a certain country, Netflix may opt to remove the show from the region or not offer it in the first place. For example, Netflix Japan currently has the largest catalog among countries with the service. This is largely due to their partnerships with local film and anime studios. The Japanese content would not be of much interest to viewers in the US, the same way Netflix subscribers in Japan may not necessarily be a fan of some US shows. Even if Netflix is the largest streaming service in the world, that does not eliminate competition at all. There are multiple cases where some titles are being exclusively licensed to other streaming services like Hulu, or broadcasting networks in a specific country like BBC. In this sense, there would be no way for Netflix to negotiate a deal. Producers are businessmen too, they know if there’s a demand for their shows in certain regions, and they know how to price accordingly. If there’s a demand for a show in a region, licensing rights get jacked up. In some cases, Netflix would opt out of licensing the shows to take the high cost in consideration. If it doesn’t make financial sense, Netflix would rather choose to abandon the show. In some cases, the show producers are the ones who are outright declining to grant rights for specific regions. This is all part of their own business strategies and marketing research; Netflix respects that. If you’re on the lookout for a free VPN for Netflix, you can stop the search party at its tracks. This is a myth, a fairytale, a made-up nonsensical story; fabricated by the free VPN providers themselves. They want to mine your data. They know you’re desperate to unblock Netflix with a free VPN. Free VPNs do not unblock Netflix. You heard it here, folks. Netflix has its reputation for being proactive in blocking IP addresses of VPNs that attempt to bypass its restrictions. Also, note that Netflix probably does the minimal amount of effort to find VPNs – this is also an expense, and they just want to appeal to the license holders. The VPNs on this list work with Netflix as of writing, but GoBestVPN cannot guarantee that these VPN providers will still have access in the foreseeable future. If you’re in the market for a VPN that allows you to watch your favorite shows on Netflix, you should be aware that not all of them are able to do that. 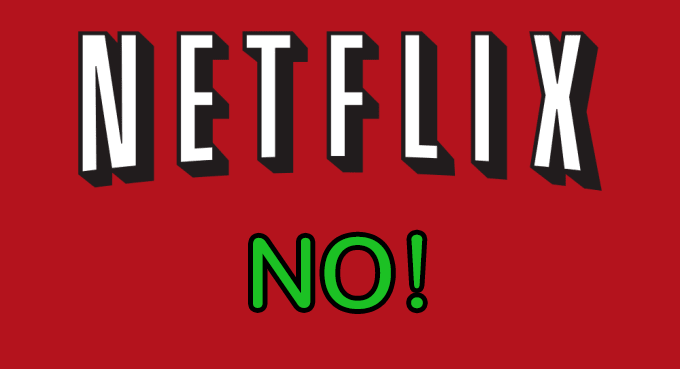 Netflix will always be at war against VPNs and protect their licensing rights. Do remember that the main purpose of a VPN is for Internet privacy and security, Netflix access is just an amazing byproduct of it. For your own assurance, go give these VPNs a try and see which ones work best for your binging needs. For simplicity’s sake, why not pick one of the top 3?